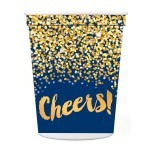 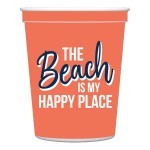 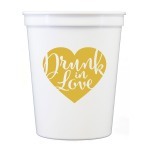 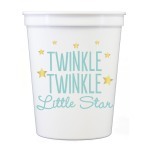 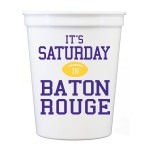 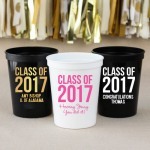 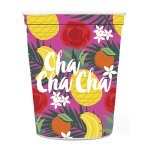 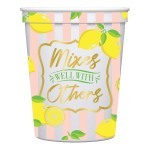 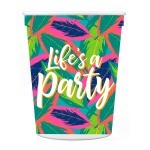 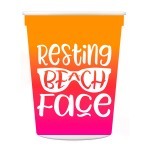 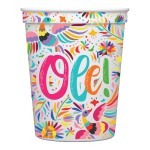 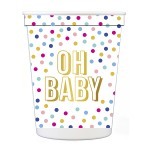 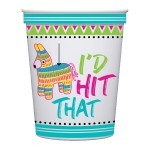 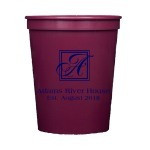 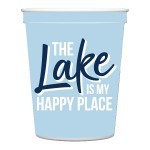 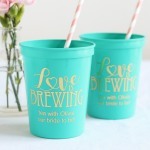 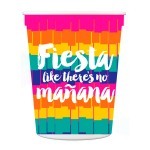 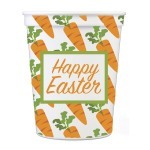 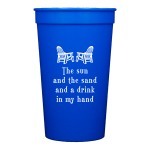 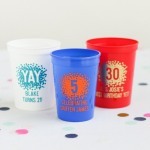 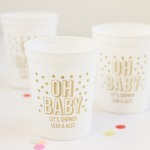 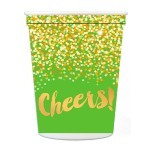 Show your love of the beach and your ability to keep a secret with these fun beach party cups. 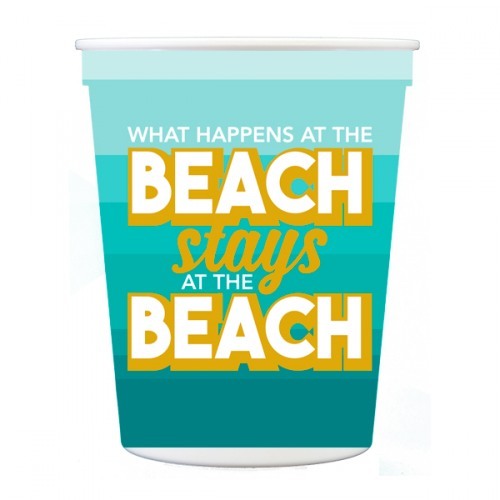 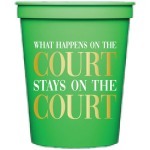 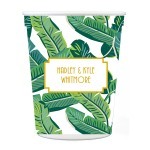 Mint ombre plastic cups have the Swoozie's Exclusive design of the phrase "What happens at the beach stays at the beach" in white and gold. 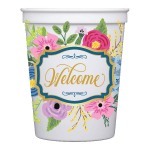 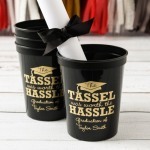 Add the coordinating drink hugger, wine glasses, napkins and tea towel to make a hostess gift!